To pedestrians in crosswalks: At crosswalks and intersections with flashing signals or stop signs, cars must yield to pedestrians. Missouri law states that cars must yield to pedestrians in the same half of the crosswalk, or if they are close enough to the driver’s half that they might be in danger. To cars when turning left through an intersection: Drivers turning through an intersection must yield to a lot of different people – to vehicles going straight through the intersection, to drivers without yield or stop signs, and to cyclists, pedestrians, and cars already in the intersection. When merging onto highways: It is important to remember that vehicles already on the highway have the right of way. There is no law stating that those vehicles have to let you onto the highway. Make sure to look for motorcycles when getting on the highway. After a car has been at an intersection longer than them: At almost any time when there are vehicles already at the intersection or crossing, they should have the right of way. At a stop sign: Not coming to a complete stop is one of the most common tickets received regarding a stop sign. But did you also know that at four-way stops, drivers to the right have the right of way. These situations can lead to extremely dangerous accidents because usually one of the drivers is not expecting a car to be coming toward them (or is not paying attention). 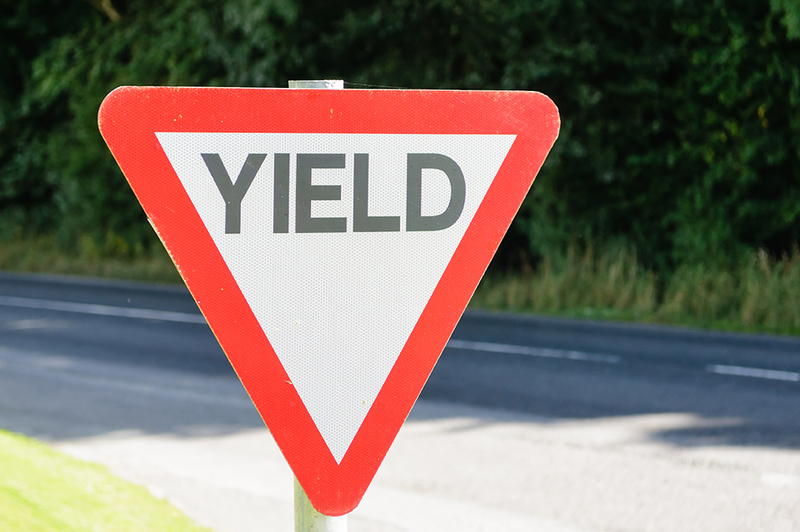 After being in a failure-to-yield type accident, it might be a good idea to call a police officer to write a report of the incident so that your insurance can use this report later on. Often times a failure to yield situation can be complex and hard to figure out. The blame can easily be placed on one of the parties, although the other party may also be liable for some of the damages. It’s important not to cave under the pressure of the other party’s insurance to admit guilt for the accident, especially when you aren’t sure. Talking to an attorney like Tad Morlan will give you a foothold in your case and allow you to get the damages you deserve from the accident.